TENNIS: Stan Wawrinka has joined a growing list of star players who will start the new year at the Brisbane International. The world No.3 will begin his campaign at Brisbane alongside Rafael Nadal, with world No.1 Angelique Kerber and French Open champion Garbine Muguruza also heading for Queensland. 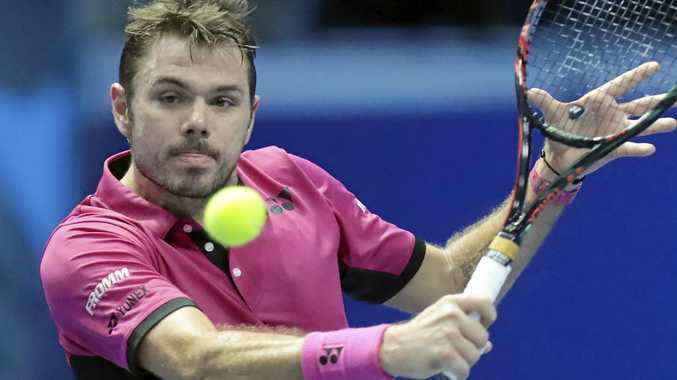 It will be Swiss star Wawrinka's first trip to Brisbane and he is looking forward to it. "I'm excited to be heading to the Brisbane International for the first time in my career,” he said. "I've heard such great things about the event and the beautiful city of Brisbane, and it feels like the right time to change-up the start of my season. After years of playing in the shadow of compatriot Roger Federer, Wawrinka has now moved past him on the world rankings to sit behind only Andy Murray and Novak Djokovic. "It's really exciting to have Stan, the current world No.3 coming to Brisbane for the first time to compete in the Brisbane International,” said tournament director Geoff Quinlan. "It's a real coup for us to have the three-time grand slam singles champion start his 2017 campaign right here in Brisbane. "The Brisbane International has welcomed some of the biggest names in tennis over its nine year history and the 2017 line up is no exception with the addition of one of the hottest players on tour right now.